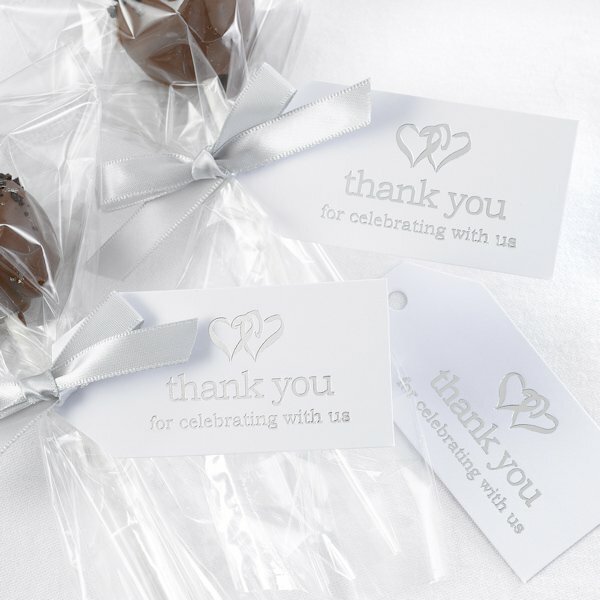 These luggage shaped wedding favor thank you tags feature a silver-foil linked hearts design along with a 'Thank You for celebrating with us' message. 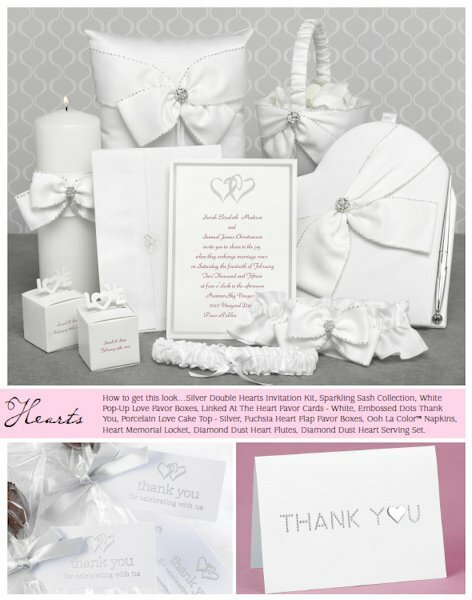 The photo shows the tags paired with our linked hearts favor boxes which are sold separately. 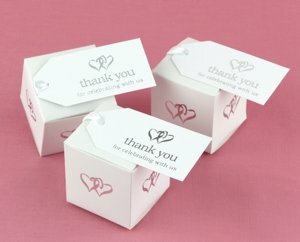 Tags (3 1/8" x 1 1/2") come in sets of 25 with a 6 set minimum order. 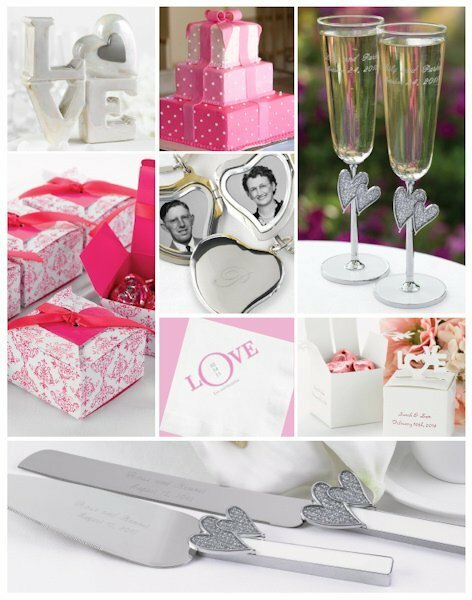 Ribbon is not included.